オンラインスロット ファントムオブオペラ, powered by Microgaming Software comes with five reels and 243 paylines. This online slot is based on the novel and the musical with the same name. The developers have kept all the iconic characters of the novel in the slot game. It comes with fantastic graphics, excellent background music and also impressive bonus features. To start playing slots online Phantom of The Opera, the players need to place a bet that can range from 0.30 to 15. 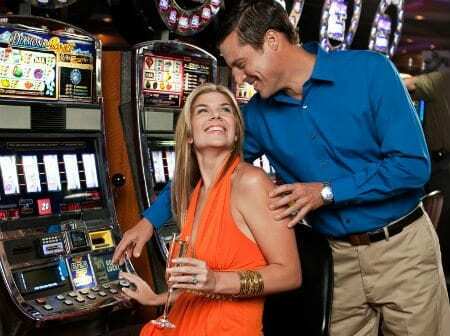 The Spin button can help you to put the reels in motion, and the players can select the Autoplay option to keep going without any interruptions for a specific number of times. The wild symbol is the logo of the game that can replace all the symbols except the scatter symbol, i.e. a Mask. If you land up with three or more wild symbols on the reels, you can expect nice payouts. Slots Online Phantom of The Opera offers various bonus features for its players that can be enjoyed at Express Casino. If you land up with Letter symbol only on reel five, you trigger the Letter Bonus symbol that will give you a random cash prize that can be up to 20x the stake. ‘All I Ask for You’ feature which will give you ten free spins along with dancing wilds who will dance to an adjacent symbol position awarding you either a 3x multiplier if found on the same position, turning both reels wild or turning one reel wild if found on the same reel. ‘Music of the Night’ will award you ten free spins again with multiple enhancers including multiplier up to 4x, up to three wild reels, up to five randomly placed wild symbols or additional free free spins. Multiple Enhancers can even be applied on the same reel. Slots Online Phantom of The Opera is a lot of fun for the players and the best musical creation for low rollers. So enjoy spinning the reels of Slots Online Phantom of The Opera slot at the Express Casino and have an unmatched gambling experience.